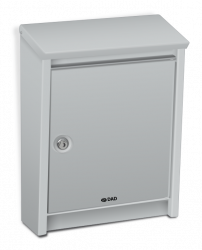 Our custom letterbox range provides all our customers with a choice between a bespoke B110 Letterbox or a bespoke Dome letterbox. Our wide variety of different colours will leave you spoilt for choice. This exclusive customisation service allows you to design and order in a few simple clicks, with many different colour body and door combines available to choose from, depending on your personal preference. Often bright corporate colour schemes are selected to represent individual brands, or natural colours to blend seamlessly with different buildings interiors and exteriors. Your custom letterbox will be shipped to you within 2-3 weeks after your creation here on our Website. 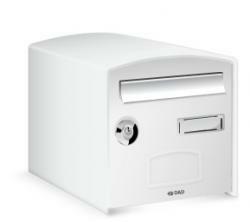 Take a look at our economy letterbox range too, if you're looking for a smart affordable option. If you have any questions about our custom letterbox service, or you would like to find out more about your letterbox options available, simply contact us today.